Ashton Jack Hancock was born on the 21st of October 2009, he was our first child and we were very excited about his arrival. It had been quite a turbulent pregnancy, with questions placed on our 12 week nt scan as to the health of our growing bub, plus per term labour that began at 29 weeks after my membranes ruptured and I had a severe infection. 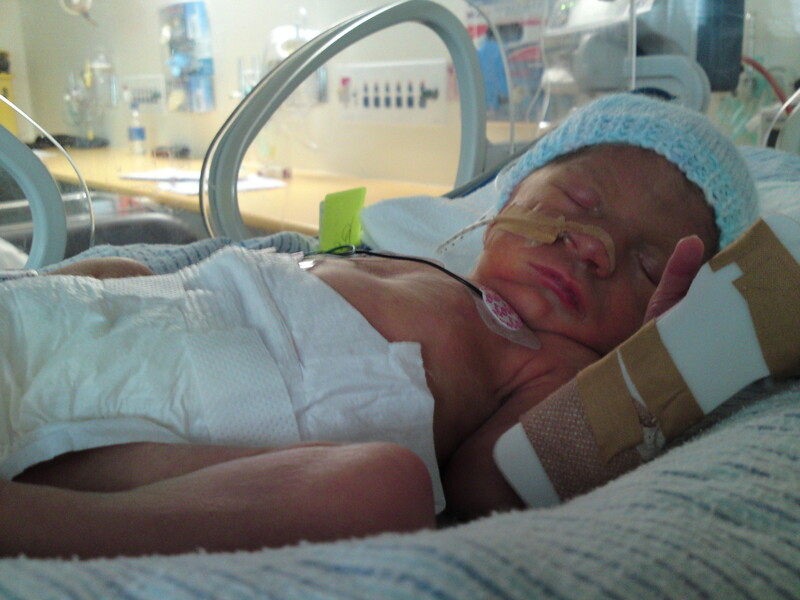 Luckily Ashton managed to hang on and was born at 32+2 weeks gestation. We were very nervous as we knew that there would be challenges due to him being premmie but nothing prepared us for the journey we would face. 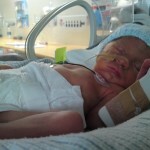 Ashton came out breathing well, but a few hours after birth needed breathing support which was very scary for us but the next day he was breathing on his own again on room air. Things over the next few days travelled as per the usual premmie care. 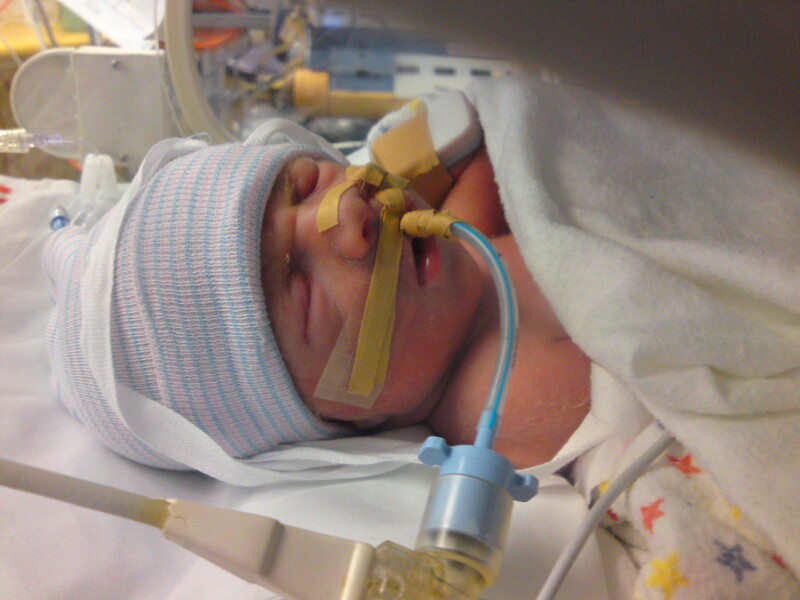 At 5 days old our world was thrown into chaos when Ashton had a cranial ultrasound (routine for prems) that revealed an unusual abnormality on the brain. I remember the man doing the scan looking at the screen intently and then calling someone more senior to come look and being a nurse I got this awful feeling and my heart sank knowing something was wrong. Later that day after what seemed like an eternity the neonatal specialists called a meeting with me and Justin to discuss the ultrasound results. 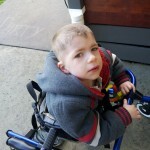 They told us that he had partial agenesis of the corpus callosum, a rare brain abnormality and all they could tell us was that they didn’t know how it would affect him. Some kids with it had it discovered after falling off their bike and otherwise were normal, and some people with it were severely mentally handicapped. It was a “wait and see” diagnosis. We were both terrified as to what this would mean for us and Ashton, we have never cried so much in our whole lives. We had to try and stay strong for each other but it was hard. 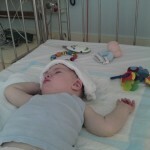 At first we prayed that the ultrasound was wrong but a week later it was confirmed by MRI scan. Thankfully all other tests came back normal which was a relief (chromosome testing, kidney ultrasound and ECG of the heart). I was stunned though, as I couldn’t remember anywhere in my years at uni of learning about the anatomy of the brain a mention of the corpus callosum yet it was an important part of communication within the brain. I started to google but stopped as what I read was very frightening and upsetting. It was hard just adjusting to being a mother for the first time without all the extra stuff we had going on. 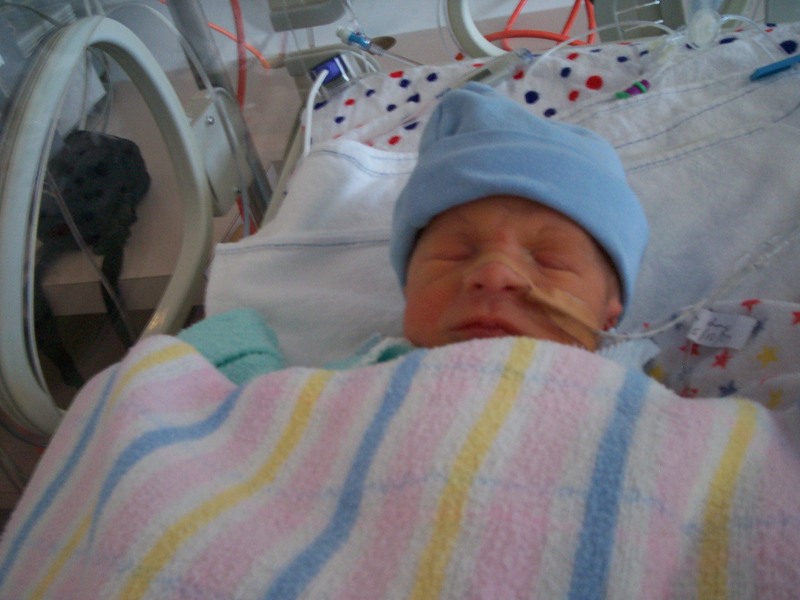 Ashton had lots of complications (he had meningitis, sepsis, jaundice etc) and remained in hospital for 8 and a half weeks, he came home four days after his original due date. We were relieved to finally get him home and in time for Christmas. 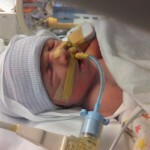 He was very floppy, and had feeding difficulties with severe reflux and needed a nasogastric tube to top up his feeding. Unfortunately a few weeks after being home he had to go back into hospital as he wasn’t gaining much weight and was vomiting all his feeds up. After two weeks in hospital he came out on medication for reflux but he was very dependant on the tube feelings and refused his bottle and dummy. It was also revealed after a hearing test that he had hearing loss due to reveal damage from his early birth. 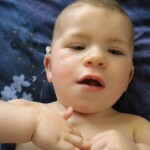 At 5 months of age he was fitted with his first hearing aids. The first year was a bit of a blur but we learnt to stay strong for Ashton and give him as much love as possible. 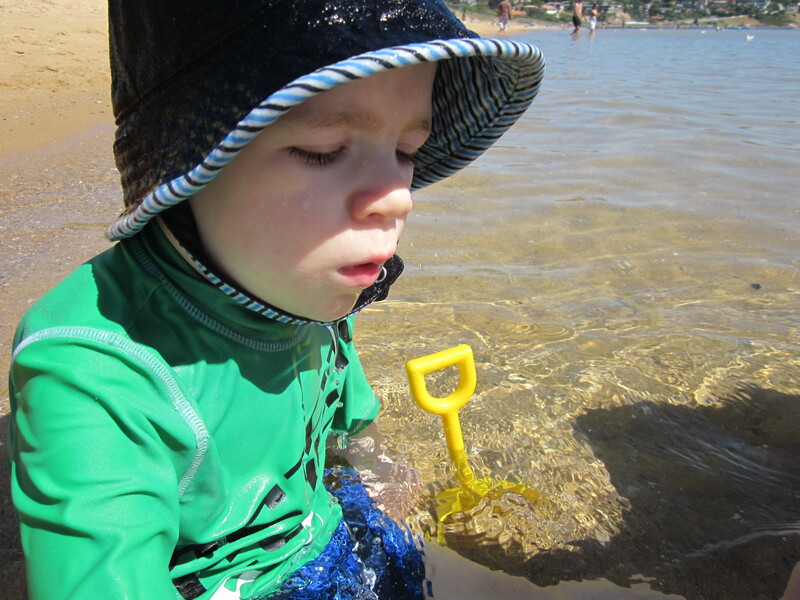 We managed to get him off the feeding tube at 10 months old with the help of an Austrian feeding team, they coached us over the Internet on reducing his tube feedings safely so he would learn to be hungry and eat, getting rid of the tube. Our days consisted of appointments and therapy but generally he was a happy baby. 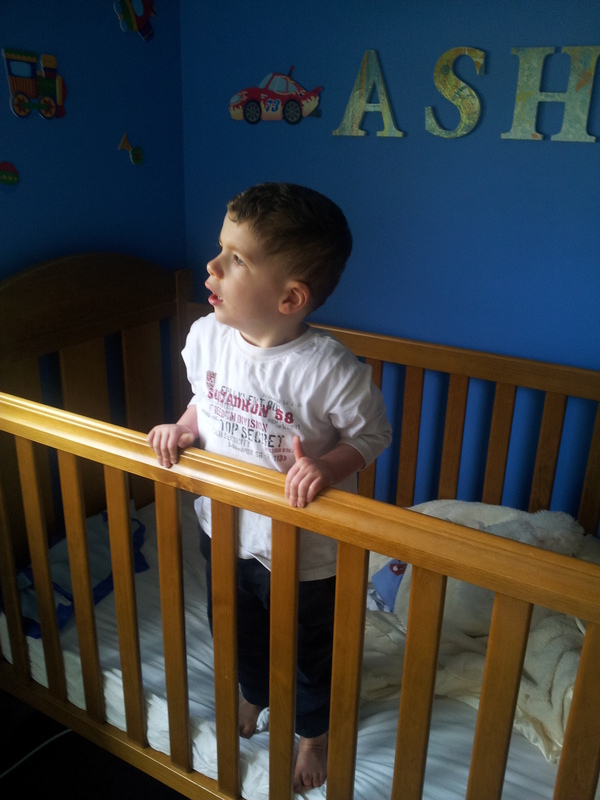 We were warned that he could potentially develop epilepsy by our paediatrician and at eleven months old Ashton had his first seizure out of the blue. 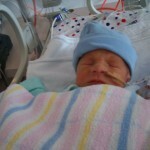 It was a very scary time, and we spent the next few months in and out of hospital getting them under control. The nurses all knew us on first name basis we were there so much. We bravely decided to go on our first family holiday and it went really well until on the night before we were due to come home that Ashton had his longest seizure ever. It lasted for over an hour and it took a long time for the ambulance to come. 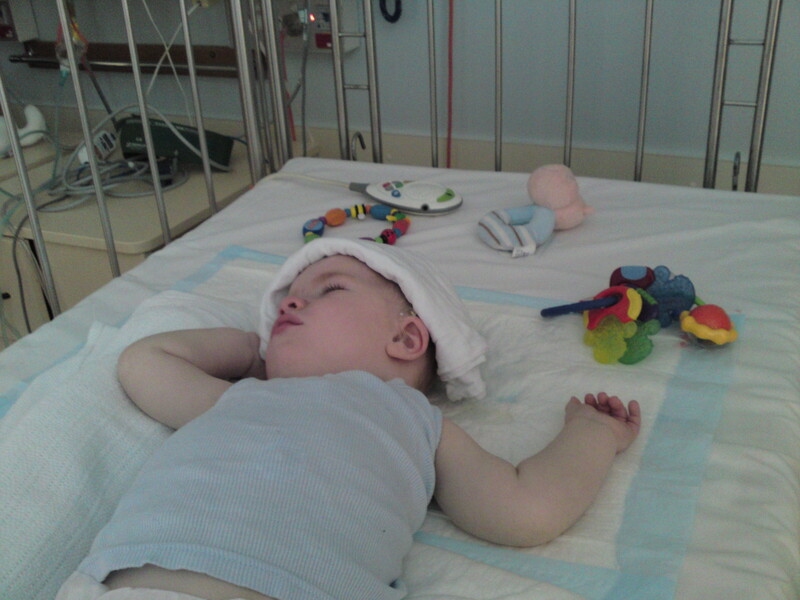 That night we spent time in a small country hospital in NSW while they decide where to transfer us, in the morning we went on a plane back to Melbourne with a team for RCH escorting us back in case he had another seizure. 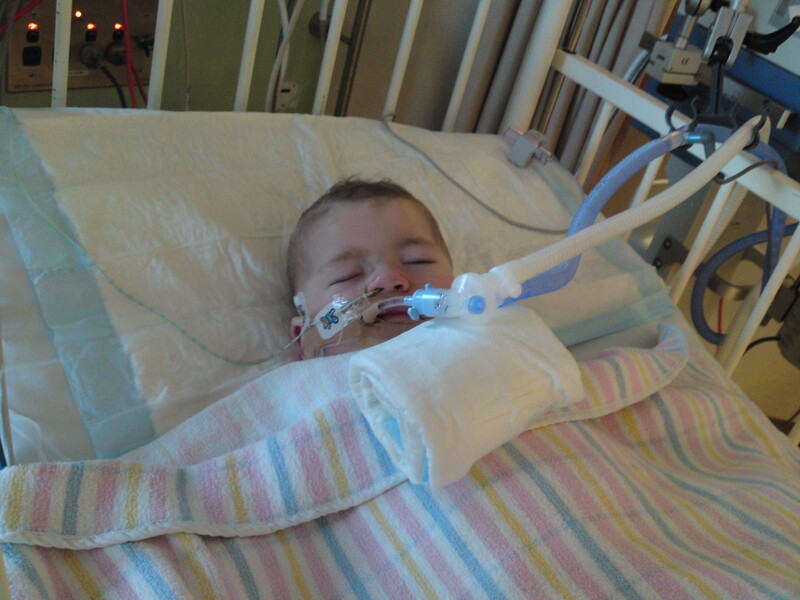 Once back in Melbourne we were kept in hospital for observation and lucky too as the seizures began again and it was at this time it was discovered that Ashton was very sick with whooping cough. 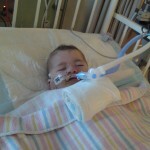 The seizures stopped him breathing a few times that day and after a code blue being called he landed in Intensive care. We were very scared that we could lose him, especially if the seizures didn’t stop, he was placed on life support to help stop them. Thankfully the medication worked and after 4 days he was woken up and he improved enough to come home. 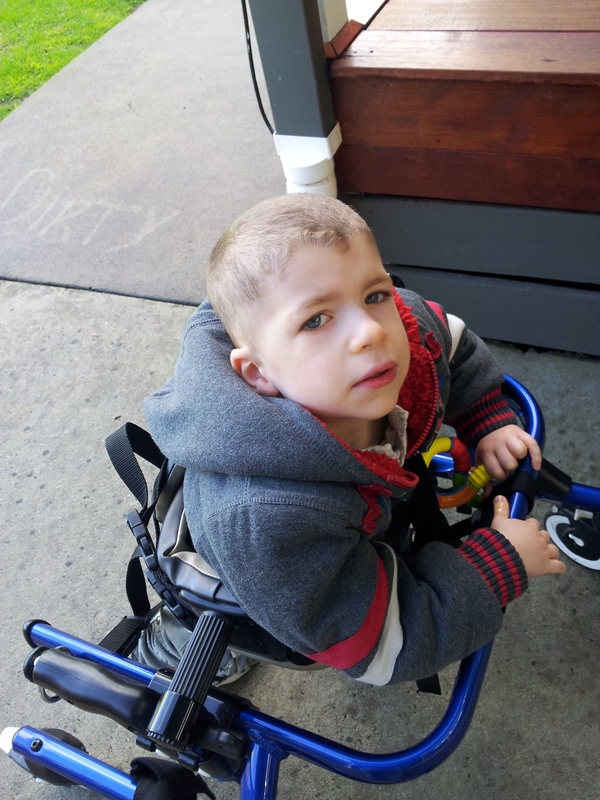 It was around this time that we were told that Ashton would need care for the rest of his life and would most likely not learn to walk or talk. We were both devastated all over again. Ashton is a fighter and in true Ashton style he began to show his specialists just how stubborn and determined he could be. 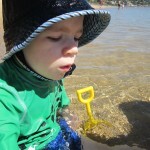 Once the seizures were under control with medication he started to make slow and steady progress. He started to roll over again, and learnt to sit up. 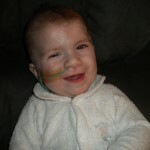 His eating improved and he learnt to play games like peek a boo and showed his love of music. 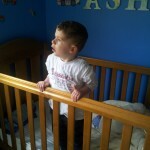 Fast forward to now and Ashton is nearly four years old and has been seizure free for over two years, he is pulling himself up to stand at the couch, bunny hopping around and being very cheeky. He attends kinder 2 days a week and enjoys art and music and each time our doctors see him they are so impressed with how far he has come. We are very proud of him too, he has so far beaten the odds and the challenges life has thrown at him. One of the best things we have done for Ashton was to give him the best therapist of all his little sister Lyla who is 10 months old. She absolutely adores him and follows him everywhere. Ashton has clearly shown us the biggest lesson of all never give up and keep trying no matter what. Live each day as it comes and focus on one thing at a time.